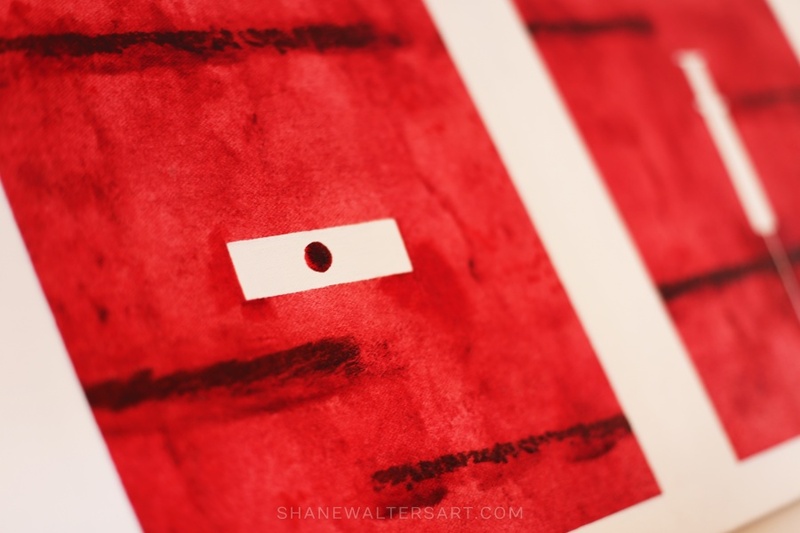 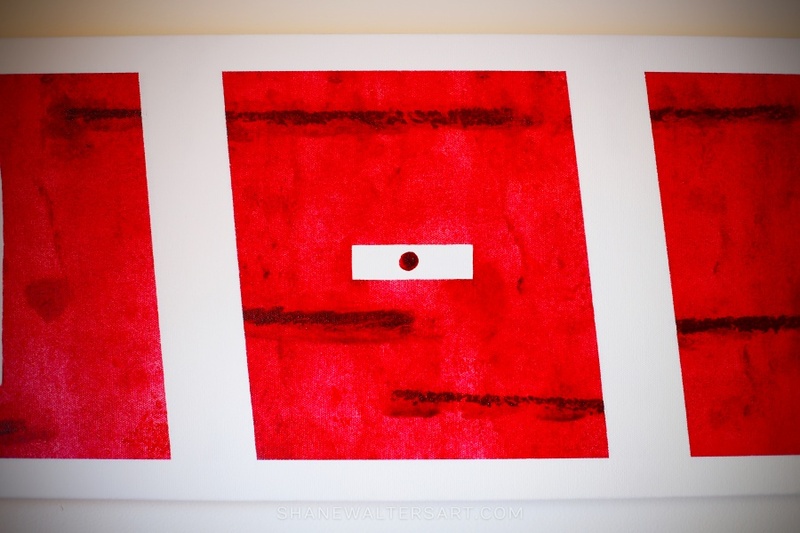 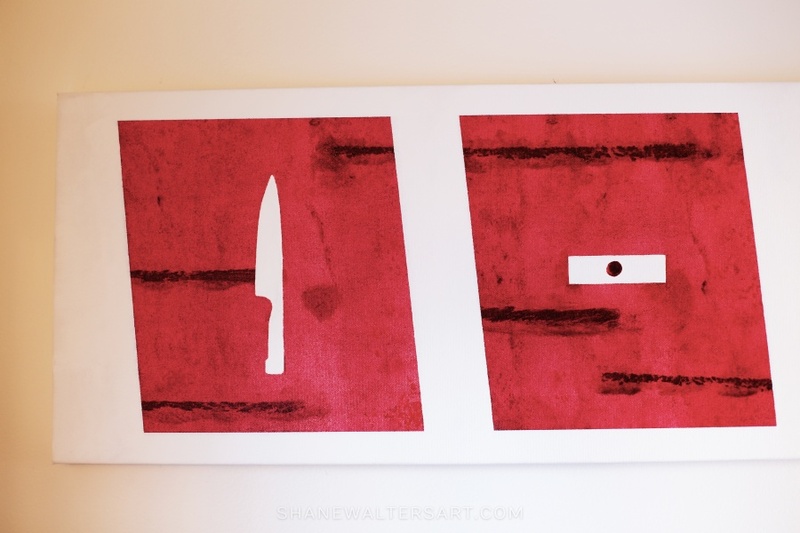 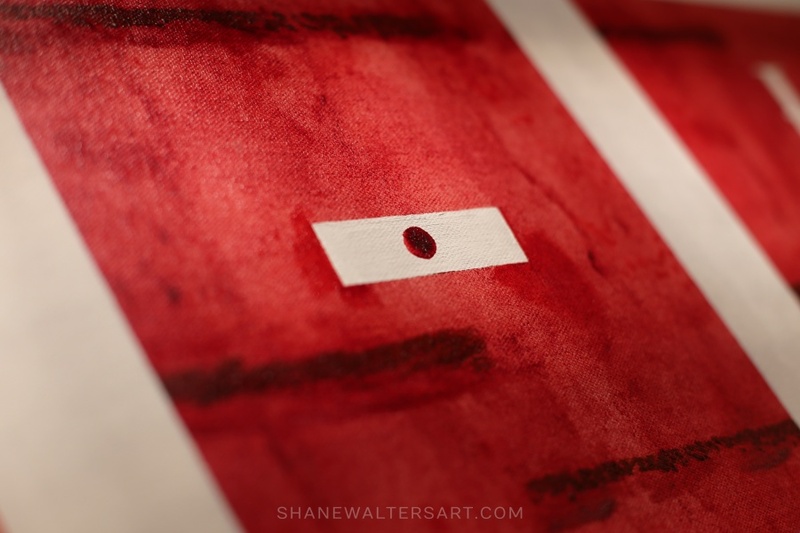 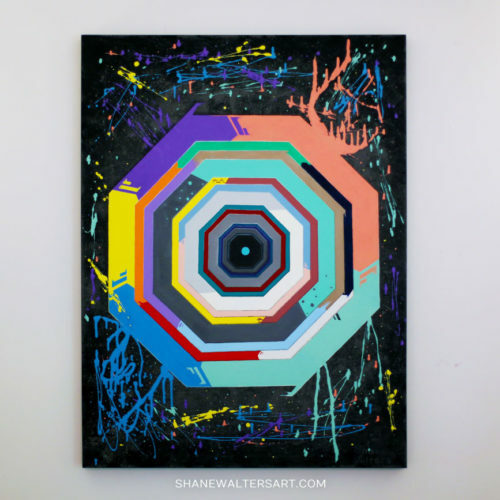 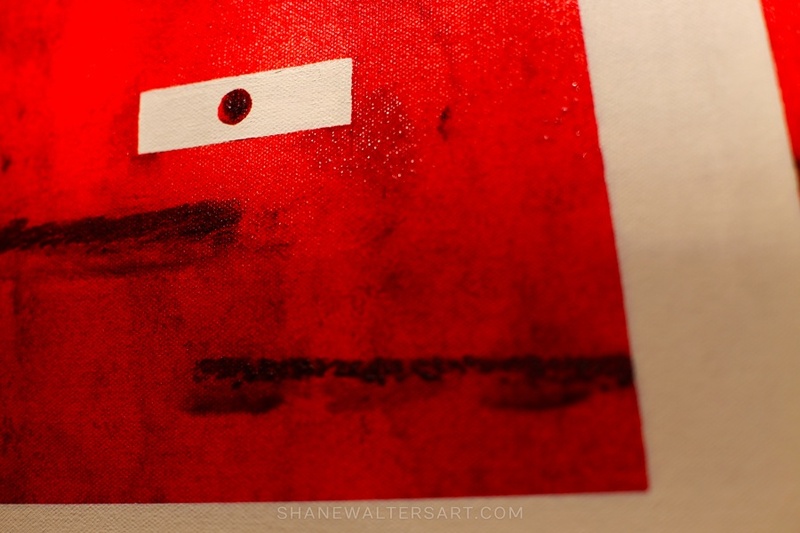 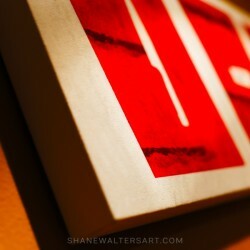 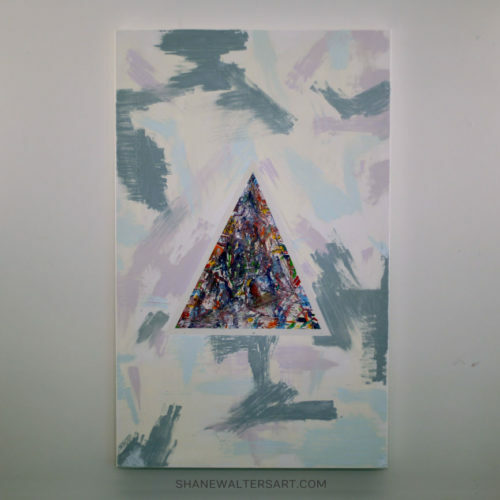 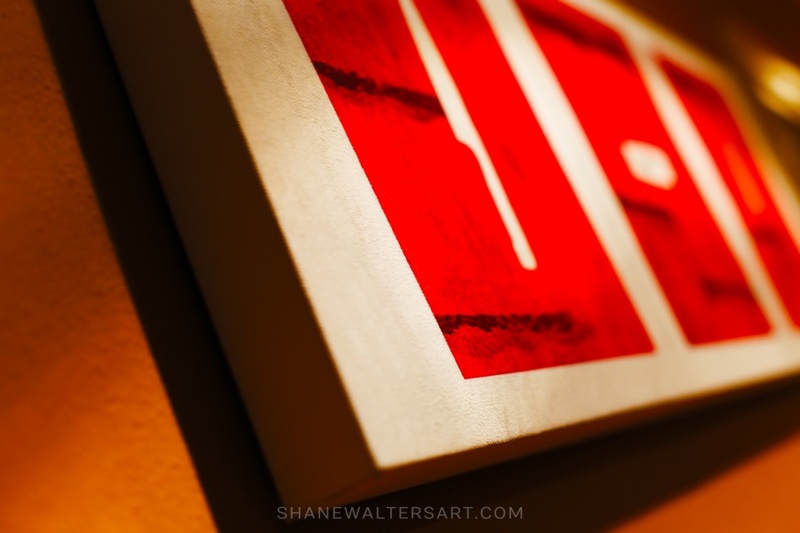 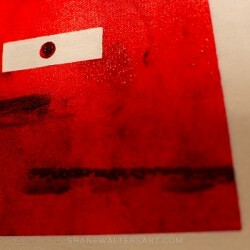 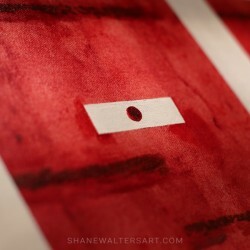 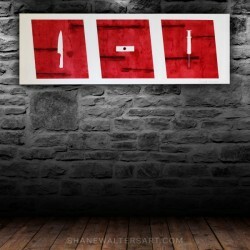 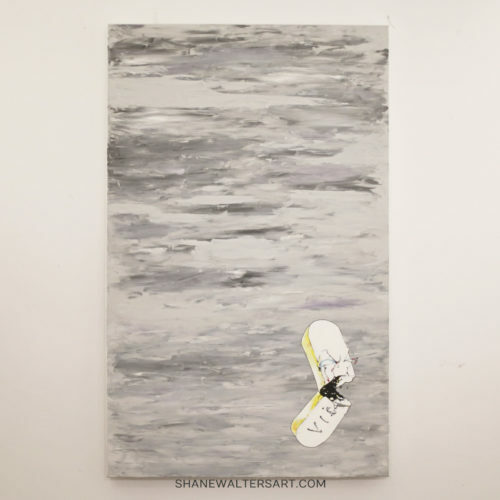 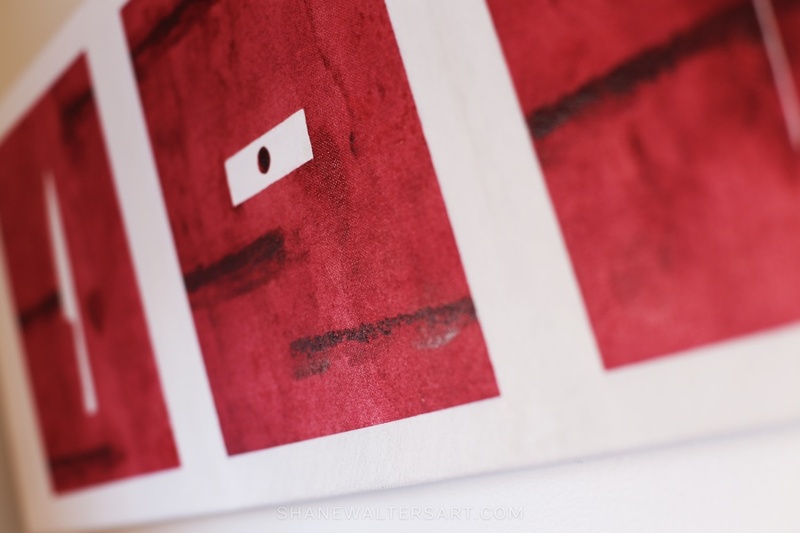 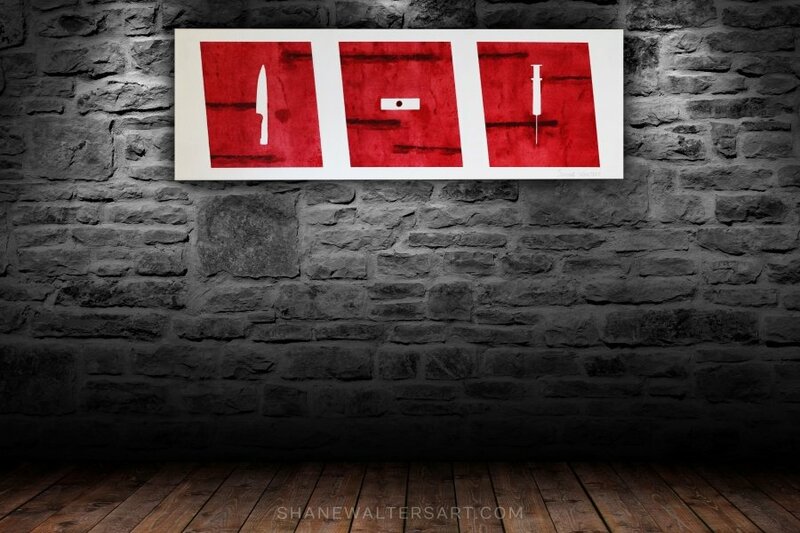 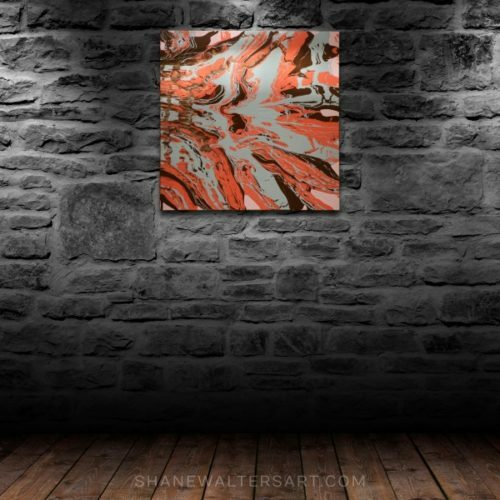 Dexter painting by St. Louis based artist Shane Walters. 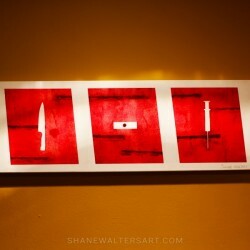 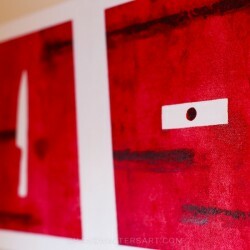 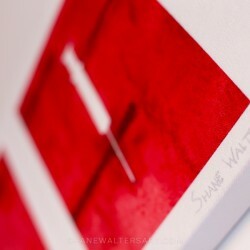 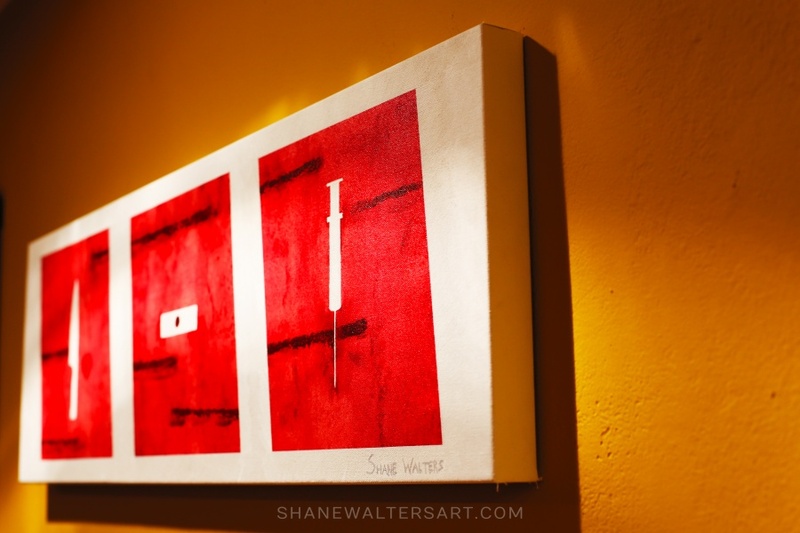 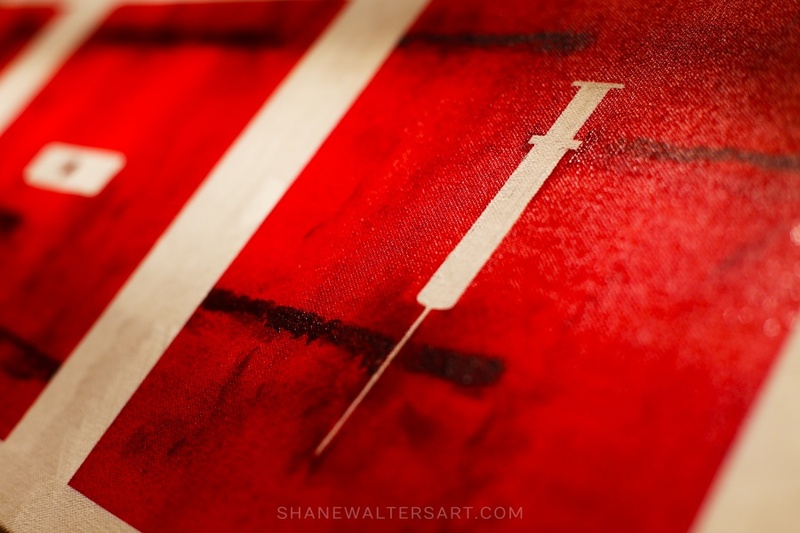 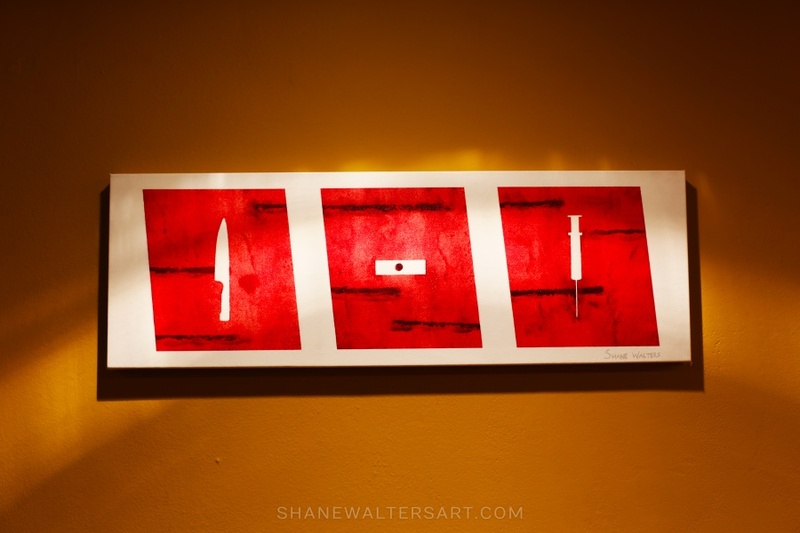 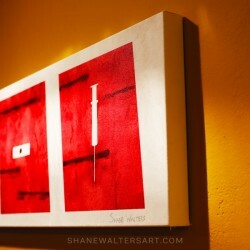 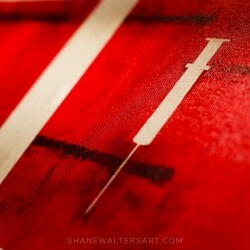 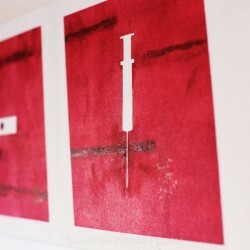 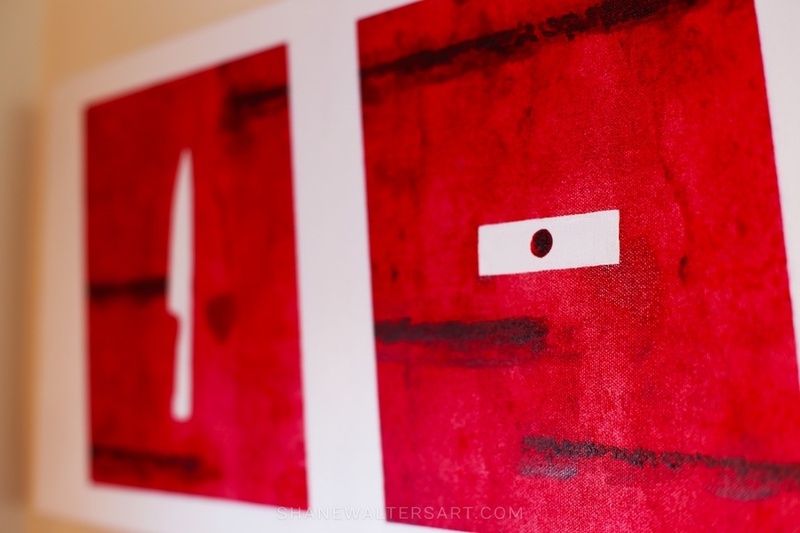 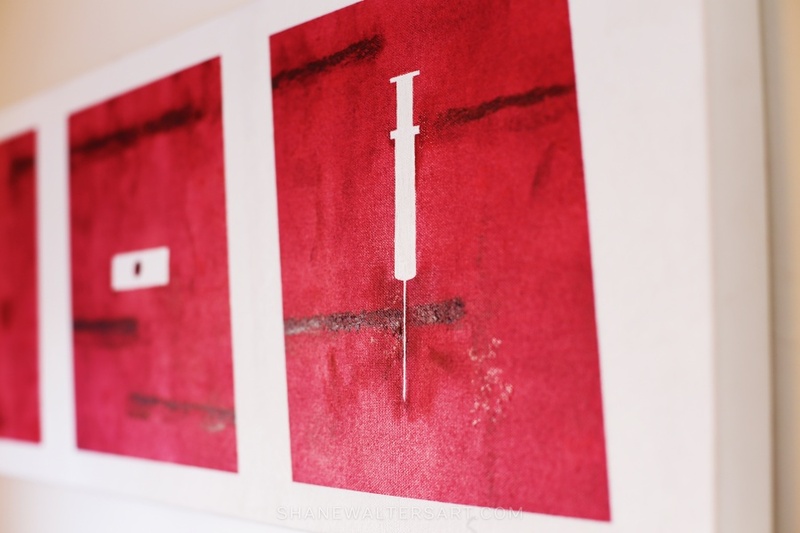 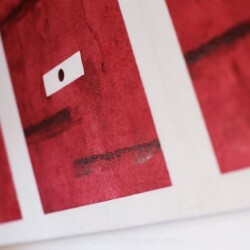 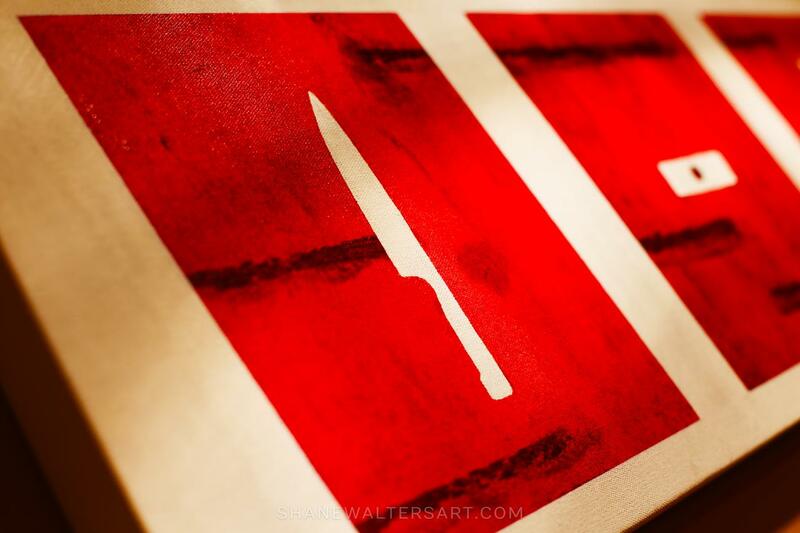 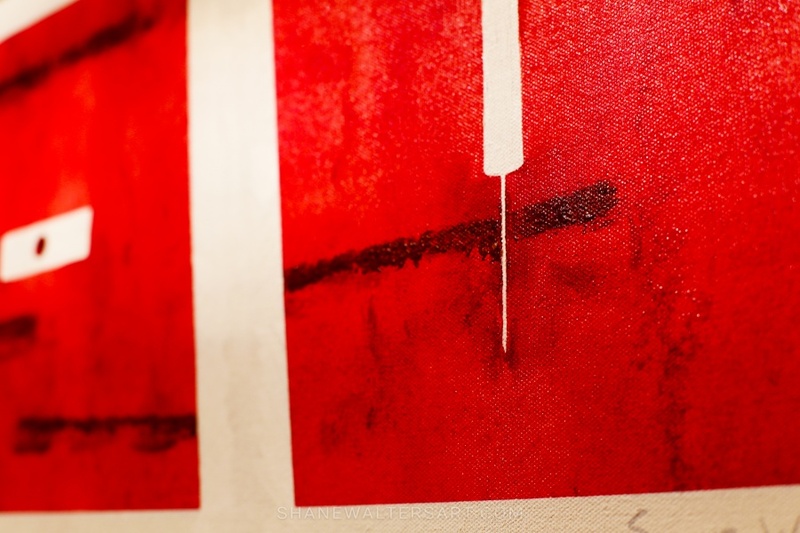 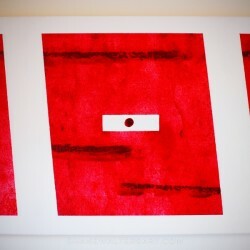 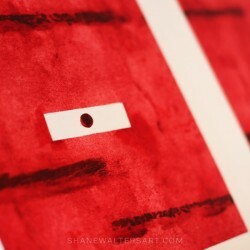 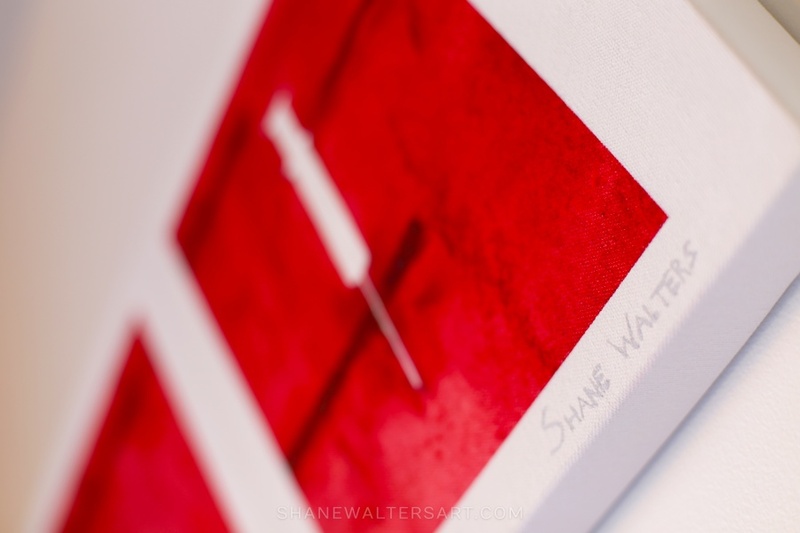 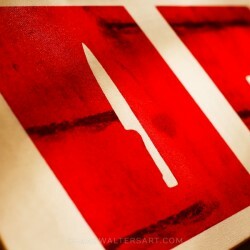 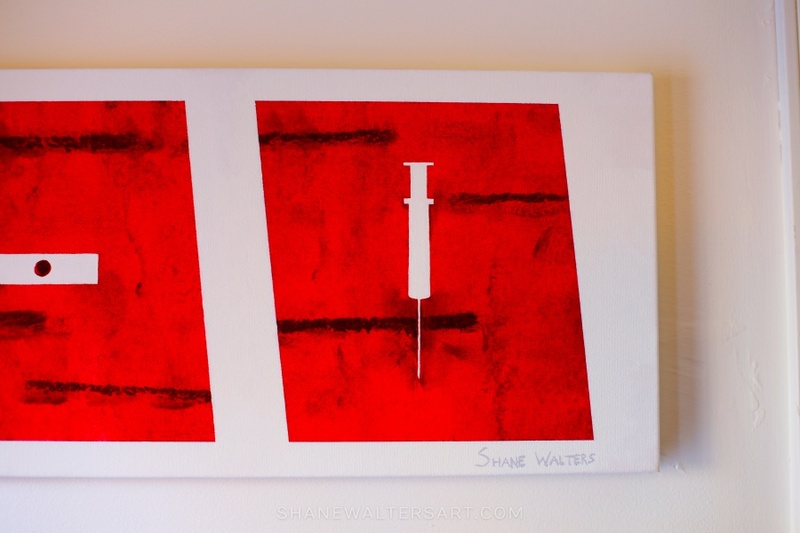 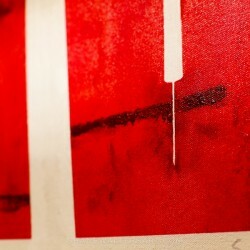 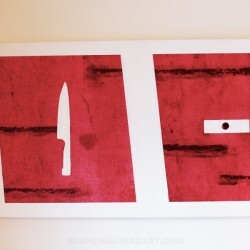 This oil on canvas painting features a knife, blood slide and syringe outlined over blood colored paint. 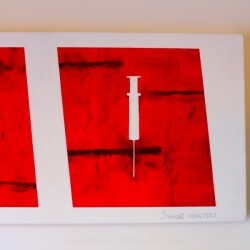 A darker piece of the art collection.